Welcome to Tampa Bay Pools, your premier custom pool and spa builder in Tampa Bay, serving Brandon, the Greater Tampa area & surrounding areas. We take pride in designing and constructing beautiful outdoor living spaces for you to enjoy and share with family and friends. 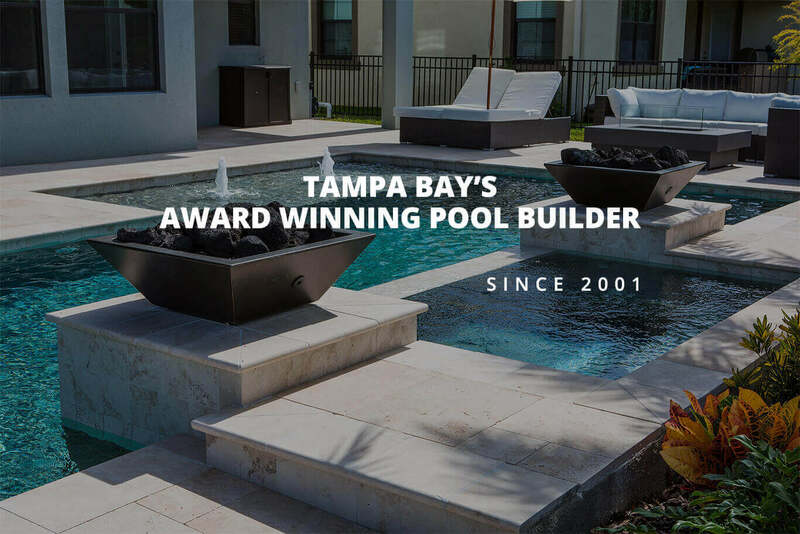 When you choose to work with Tampa Bay Pools, you’re choosing a company dedicated to superior customer service and quality construction. Tampa Bay Pools specializes in the custom design and construction of custom inground pools. Whatever your style, whether you want to keep your backyard traditional or are looking to incorporate more elaborate features, we can help you create the perfect poolscape that not only meets your needs but stays within your budget. At Tampa Bay Pools, we want you to love your backyard. That’s why we work closely with you throughout the entire design and build process to ensure your project meets, and exceeds, all of your expectations. You can count on us to bring your vision to life, giving you a beautiful outdoor living space for you to enjoy with family and friends for years to come. When it comes to your backyard investment, you can trust the experts at Tampa Bay Pools. We have what it takes to make your backyard dreams a reality. Contact us today to learn more about Tampa Bay Pools and all that we offer, as well as schedule your at-home consultation.